When working with wood, you may want your pieces to have flat edges. A jointer can do that for you. People are usually confused between the use of a jointer and a planer. A jointer flattens wood surfaces, and a planer makes the boards’ thickness uniform. Which one is better? Can you just get a jointer but not a planer? You need both, and today, we will help you find the best jointer for your woodworking journey. We’ll also list down some things to consider in buying a jointer. A jointer is a necessity for anyone who wants to take woodworking seriously. Of course, when buying such a hefty product, you want to make sure it’s worth your money. Make sure what you choose is something sturdy and well-made since it could be dangerous if it breaks down. In selecting a jointer, it’s important to consider what you’ll use it for, and how versatile you need it to be. 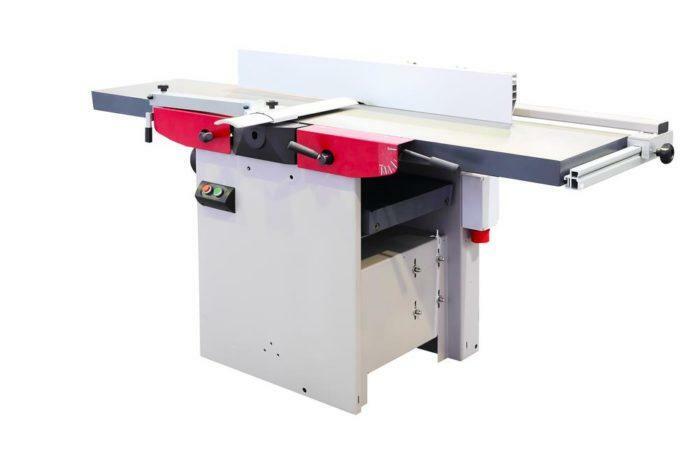 Here, we’ll discuss the factors to consider when choosing a jointer. A jointer, in the simplest terms, is an upside-down hand plane that runs on electricity. But does it mean it’s a planer? Nope, a planer and a jointer are two different things! A jointer, like a hand plane, smooths the surface of the wood. You move the wood across the jointer. If your wood has some warps or uneven surfaces, the jointer will smooth it out. 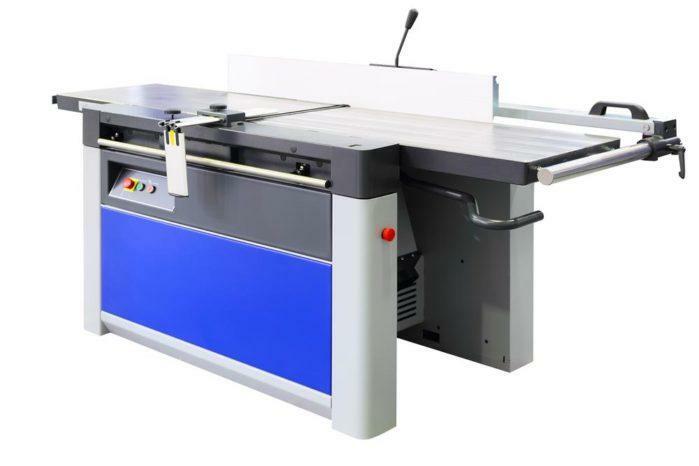 A planer is used to make wood thinner or make the thickness uniform. Before you use a planer, the wood must have flat surfaces first. Therefore, you need both machines. To use a jointer, you should first adjust the device. Make sure the tables are aligned and parallel to one another. Tables usually use levers or handwheels for adjusting. You should also verify that the fence is squared, and the knives are all properly aligned. Then, you take your wood and line it up against the fence. Use your left hand to hold the board against the fence and apply pressure downwards. The right hand is the hand that pushes the wood along the jointer. Make sure your pressure is consistent, so the output is also consistent. A jointer is an invaluable tool in a workshop. You can’t expect a planer to do the job of a jointer and vice versa. Of course, you can opt to use the manual versions of a jointer and a planer, such as a hand plane. But using a machine cuts the time, and makes the job so much easier. Jointers have varying infeed and outfeed table lengths. A longer jointer is better since you have more space to work with. Your work becomes more accurate. However, if you’re running on limited space, you might want to consider a shorter table. The tables’ widths also vary, but the usual ones are 6 inches and 8 inches. There’s nothing wrong with choosing a 6-inch wide jointer. However, if your wood supplier usually gives you bigger pieces, you can opt for the wider one. It’s more efficient and ensures that you don’t have to lose that extra wood. A good jointer should be stable and firmly grounded. You’re likelier to get a cleaner cut the less your machine vibrates. Usually, a heavier jointer would be more stable, and thus it would move less when in use. Furthermore, the fence should also be stable. The fence shouldn’t move when it’s already set. You should be able to square the fence with ease, too. A lot of fences are adjustable from 45 to 90 degrees in either direction. You should make sure the unit that you buy is stable because it will help you work more efficiently. Plus, it’s safer, and for something that has knives, you want to be as safe as possible. Some other features should be considered when picking a jointer. For example, when it comes to adjusting the table, does it use a lever or a handwheel? How much can the fence be adjusted? Jointers have a lot of adjustable features, and it’s important to know up to what extent can you adjust something. Also, some jointers have different kinds and amounts of knives. Some have a spiral cutter head, some have helical, and some have straight-set knives. A spiral cutter head leaves a smoother finish, and the blades are easier to replace. Obviously, this is a pricier option. The motor can also be a point of consideration. Some jointers can be wired to 230 volts from its pre-wired 115 or 120 volts. Also, most jointers have one horsepower, but there’s no shame in picking a more powerful one if you work on heavier projects. You should also consider what they include in the purchase. Some companies throw in a dust bag or some push blocks. These are a nice addition and will save you on trips to the hardware store. If it doesn’t have a dust bag, it might have a chute instead for the same purpose. Warranty is also something to consider. The longer the warranty, the better, especially for such a big investment like a jointer. Of course, a jointer, as pricey and as hefty as it is, can also be subject to some faulty parts or manufacturing defects. Thus, it is important that you also buy from a company that has an excellent customer service. Price is also definitely a deciding factor, especially for those on a budget. But it’s still important to check out the features before deciding. There’s no use in getting a cheaper jointer if the features you need are missing. Here, we will enumerate our top 5 picks. We also have a handy table to summarize the essential information about each product that we’ve picked. This jointer from Powermatic features a helical cutter head that has four-sided knife inserts which let you cut smoothly and quietly. It also boasts of a relatively finer finish in comparison to more conventional systems. The infeed and outfeed table measure 66 inches long and are easily adjustable using their respective handwheels or handles. The fence is 38 inches long and 4 inches tall and can be tilted 45-degrees for versatility. You can tilt it towards or away from the tables. The motor can be converted to use 230-volt power. Using 115 volts is pre-wired. It is easy to assemble. You will need another person to help you out though. The base is very stable and grounded. It won’t move around while you’re operating it. The on/off button is not easily accessible. It might be difficult for you to move, especially when assembling. It’s on the pricier side. This Cutech jointer has a spiral type cutter head with 12 2-sided inserts that ensure an amazing finish. The fence, which measures 19 ⅝ inches long and four ⅜ inches high, can be easily tilted from 90 to 135 degrees. The infeed and outfeed tables are also easily adjustable, as well as the cutter head guard spring tension. The table’s total length is 30 inches, perfect for those who like to work with longer boards. This unit uses a 120-volt 10-amp motor. It’s very light and portable. Weighing 40 pounds, you can easily move this around wherever you need to use it. A lot of it is easily adjustable. The tables, cutter head guard spring tension, and fence are all adjustable. This makes it easy to tailor-fit it for your needs. It comes with other tools.It has a 2-year warranty. The fence might not be sturdy. It might not be adequately ground to the table. It might be hard to adjust the tables when you first get the jointer. This jointer manufactured by JET mainly boasts an auto-set quick change knife system that lets you replace or modify the blades in a snap. It has three knives, and they have two cutting edges so they last longer. It has a built-in, 4-inch dust chute port to dispose of dust and chips quickly. Both infeed and outfeed tables are adjustable using a handwheel. It uses a 1-HP motor that’s powerful enough to handle most woodworking tasks. The fence can be adjusted to either 45 or 90 degrees. You can change its wiring from 115 to 230 volts and vice versa. If you’re not experienced with this, you can ask the manufacturer to do it for you before you buy it. It comes with two push blocks. The table is longer than most jointer models. This is good if you can afford the space and want your works to be as accurate as possible. It measures 55 ¾ inches by seven ⅜ inches. The machine’s vibration might be too strong for some. The knives might not be aligned properly when you first get it. Check the knives before using them. The Porter-Calbe PC160JT jointer has a variable speed of 6,000-11,000 RPM, allowing you to select the speed for your needs. Knife adjustment and replacement are made easy with the Two-knife cutter head with jackscrew knife leveling arrangement. It has a built-in cutter head lock that facilitates blade adjustment and replacement. Also, it also comes with a center mounted fence that will give you the needed support for accurate edge jointing. It has a 120-volt 10-amp motor. The fence can be adjusted to 45 and 90 degrees. It comes with replacement blades. The fence might be hard to adjust. The Powertec BJ600 Jointer has a built-in dust collector that gathers all of your mess into a dust bag. The infeed and outfeed tables are made out of cast iron. The fence is also made out of cast iron and can be adjusted 45 degrees inwards and outwards. It’s 120 volts, 12 amps, and has a speed of 10,000 RPM. The table measures 28 ½ inches by six ¼ inches. It also features a safety power switch lock for an added security measure. It comes with a limited 1-year warranty. It has a built-in dust bag. No need to buy a separate one or have to put up with sweeping your dust after your work. It has a safety power switch lock. The directions made assembling the unit quite confusing. The table is relatively smaller than other units. The Powermatic 1791317K 54HH 6-Inch Jointer with Helical cutter head is the best out of these five jointers. Though it’s on the pricier side, you’re sure to get the most out of your money here. Powermatic products are well-known for their excellent quality. The Powermatic jointer has a longer table than most, ensuring a straighter joint. Plus, it’s pretty hefty. While it might be a hassle when you receive it, its weight guarantees that it’ll be grounded and stable when used. Furthermore, the wiring can also be changed if you need it to run on 230-volts. All-in-all, it still comes down to what you need and what extra features or accessories you’re willing to pay for. The other options are also good choices, for example, if you need a smaller one or one with a dust bag. The most important thing is that it flattens your wood pieces properly and efficiently.